come into view right after the PBIT finish. 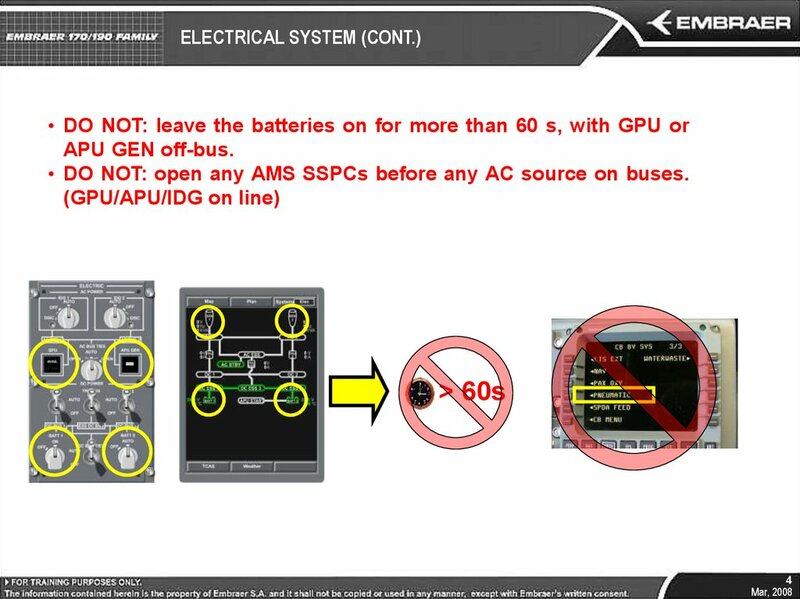 • DO NOT: open any AMS SSPCs before any AC source on buses. 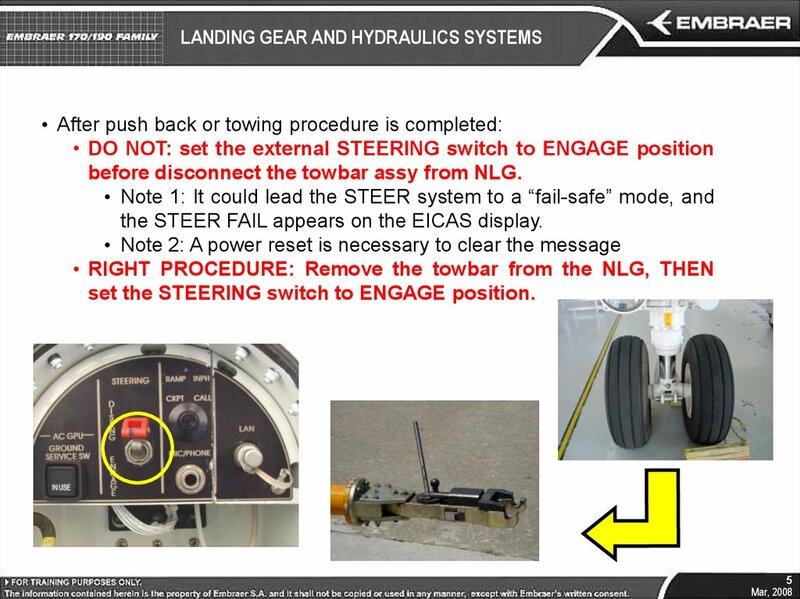 before disconnect the towbar assy from NLG. 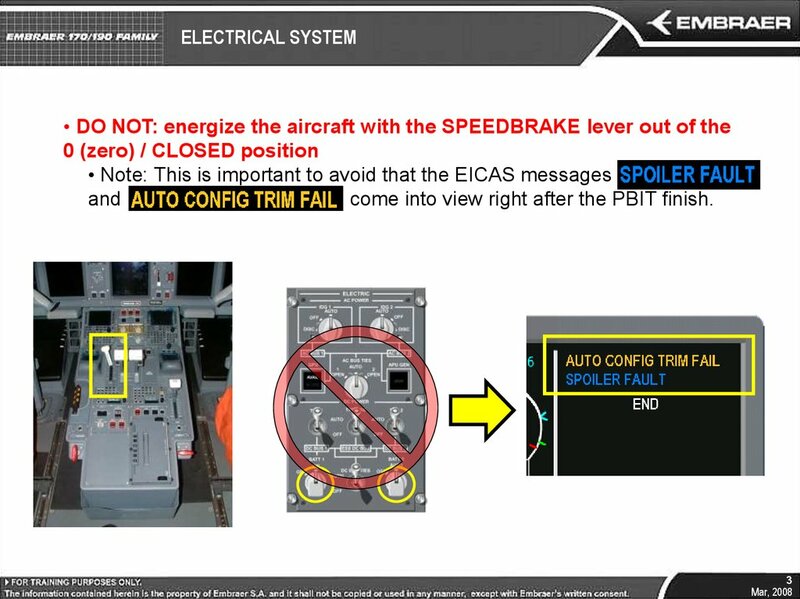 the STEER FAIL appears on the EICAS display. set the STEERING switch to ENGAGE position. 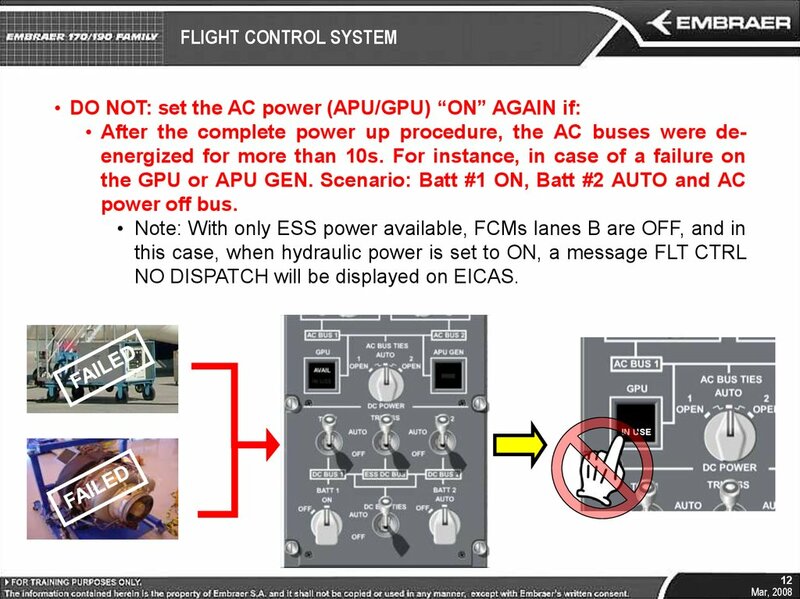 FAIL and AFCS FAULT will be presented on EICAS. 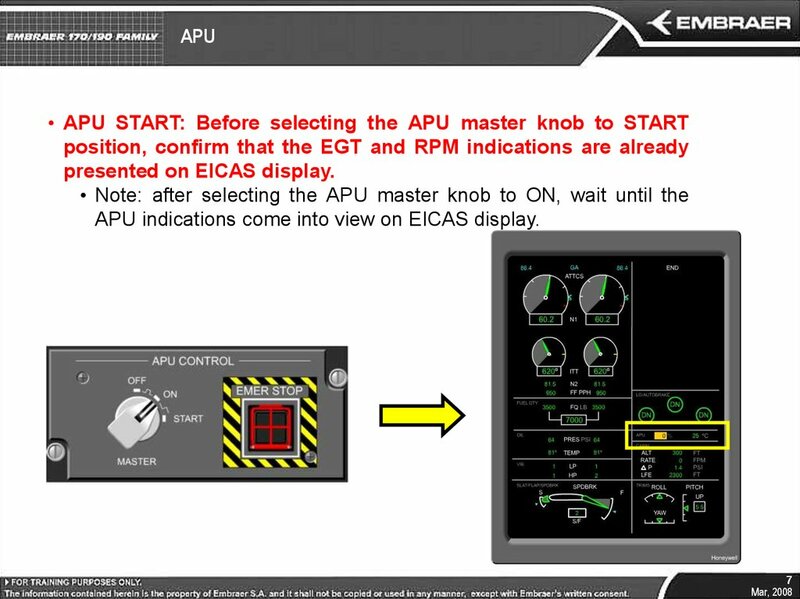 APU indications come into view on EICAS display. 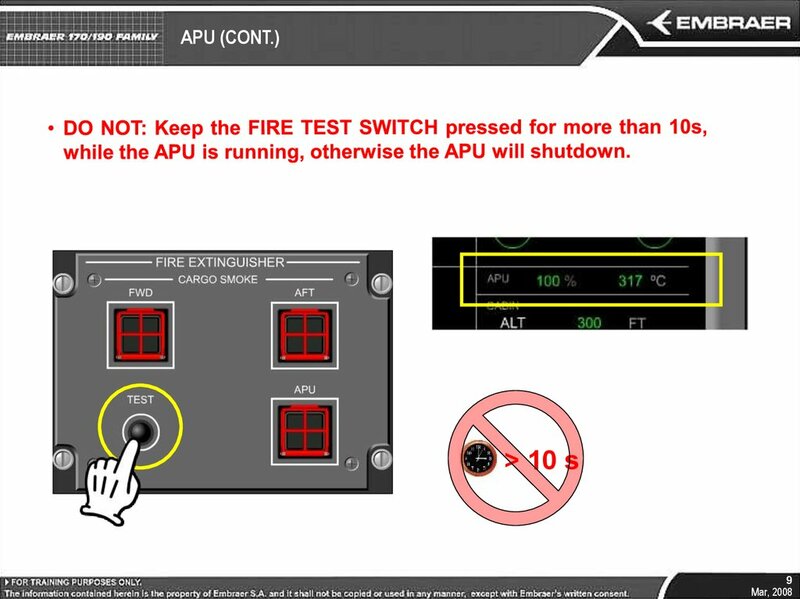 start, or while APU is running. 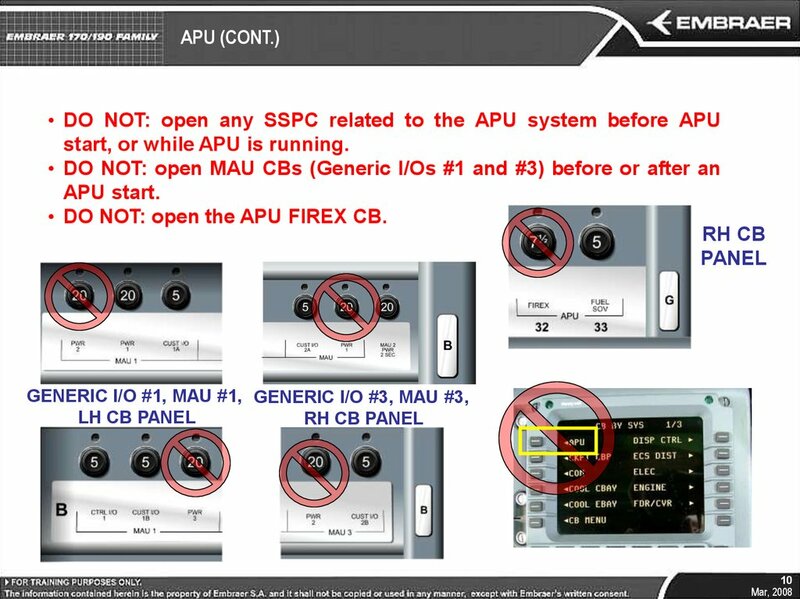 • DO NOT: open the APU FIREX CB. 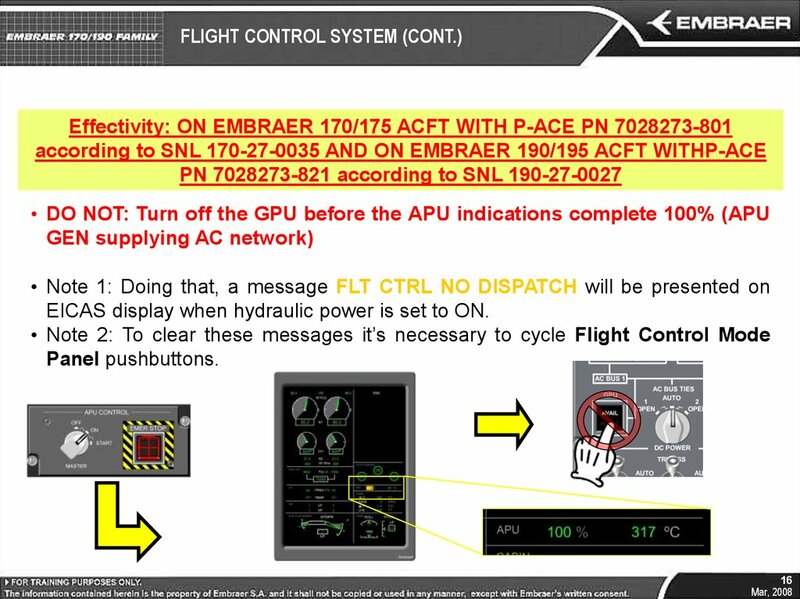 NO DISPATCH will be displayed on EICAS. 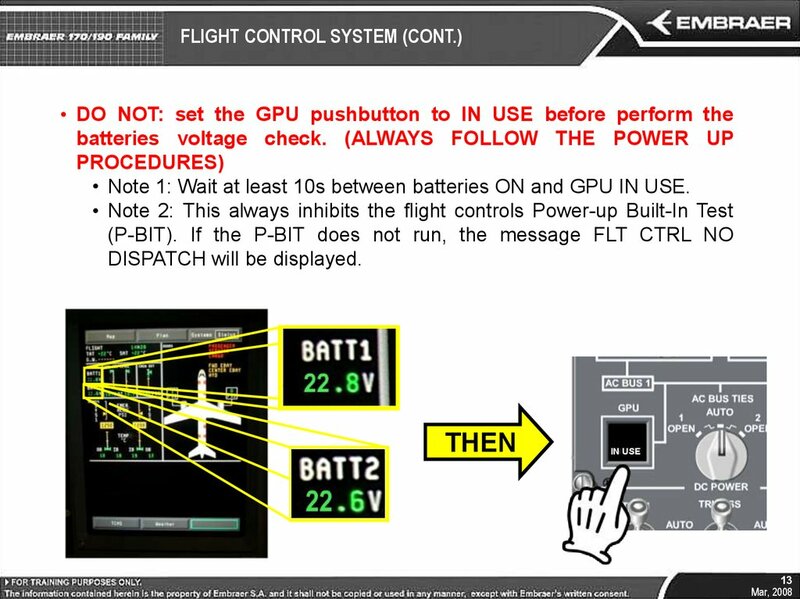 • Note 1: Wait at least 10s between batteries ON and GPU IN USE. 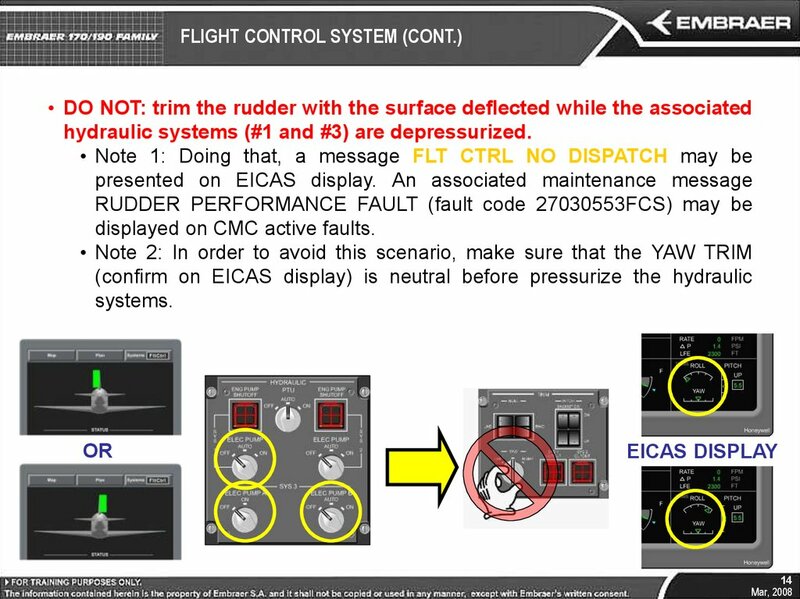 hydraulic systems (#1 and #3) are depressurized. 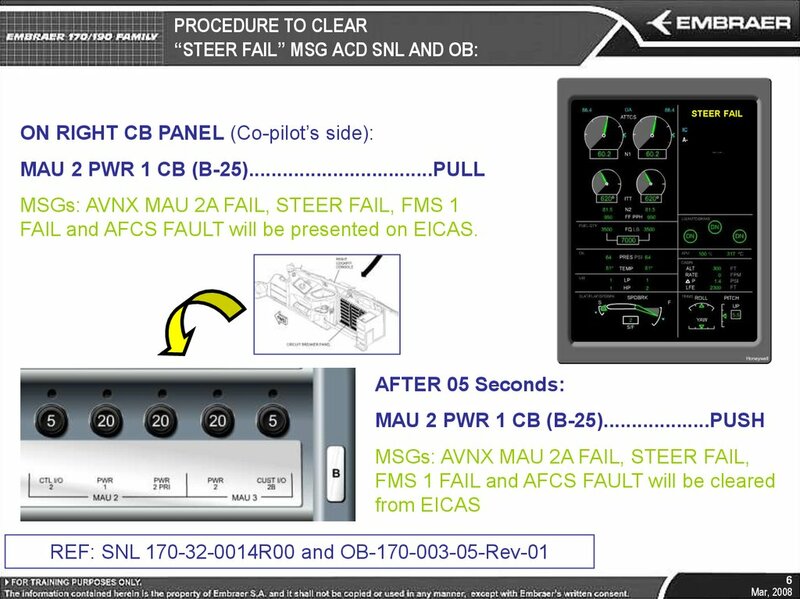 displayed on CMC active faults. 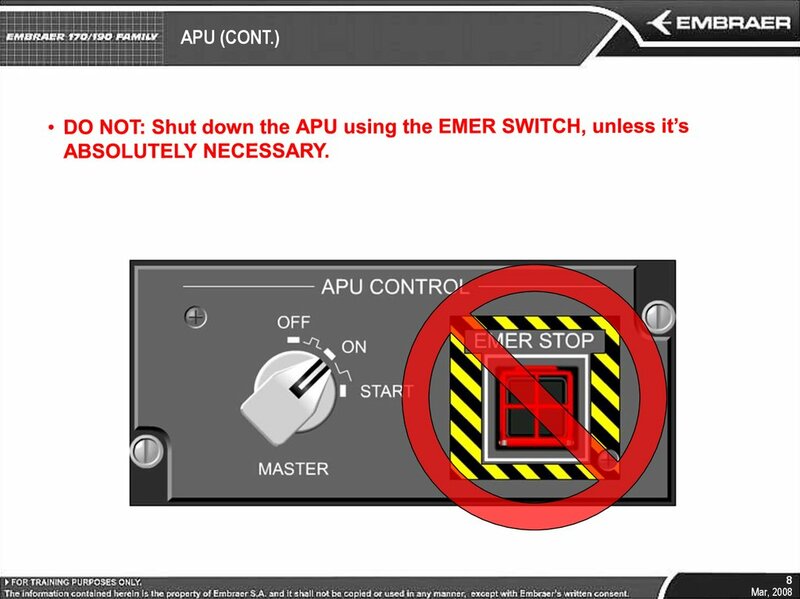 • DO NOT: command only one pitch trim switch. 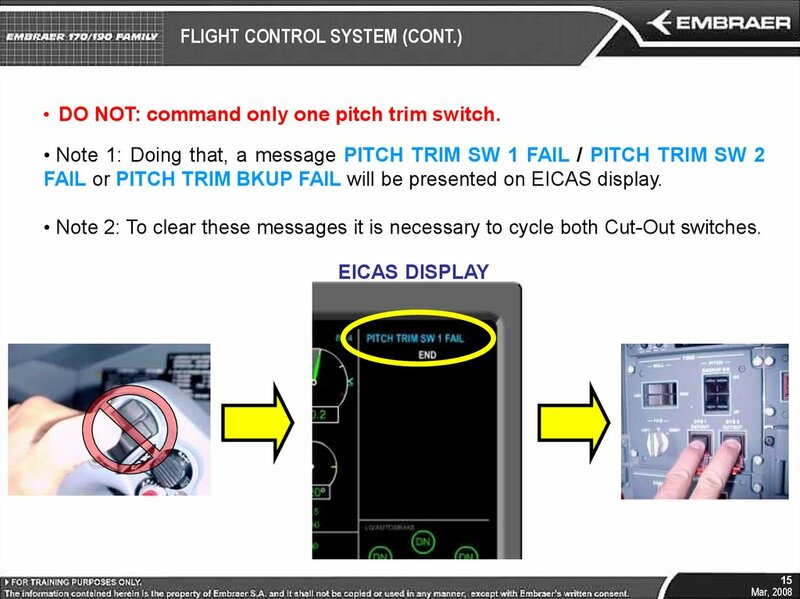 FAIL or PITCH TRIM BKUP FAIL will be presented on EICAS display. 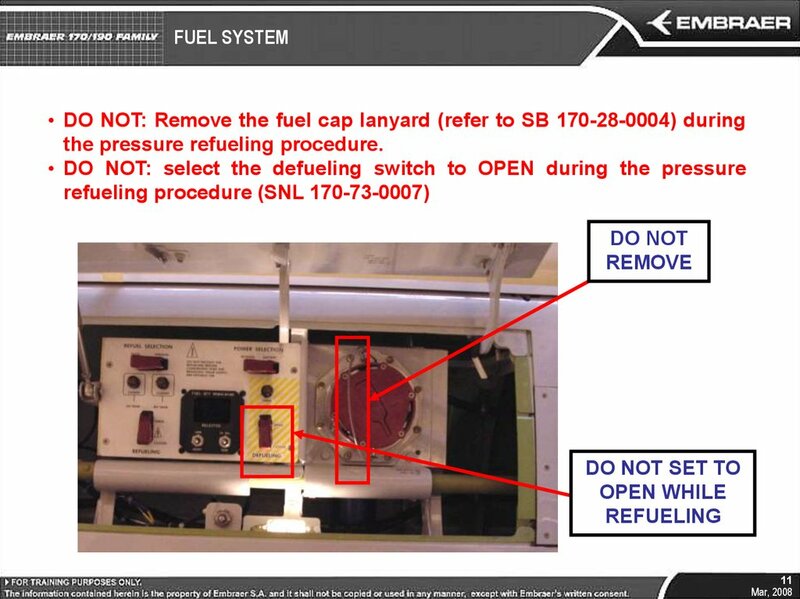 • Note 2: To clear these messages it is necessary to cycle both Cut-Out switches. 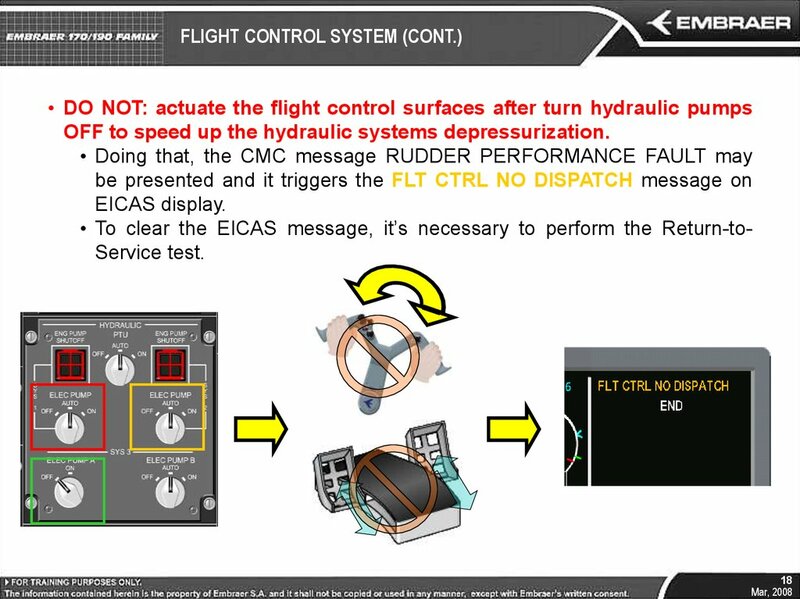 EICAS display when hydraulic power is set to ON. bleed, with hydraulics 1 and 2 OFF. 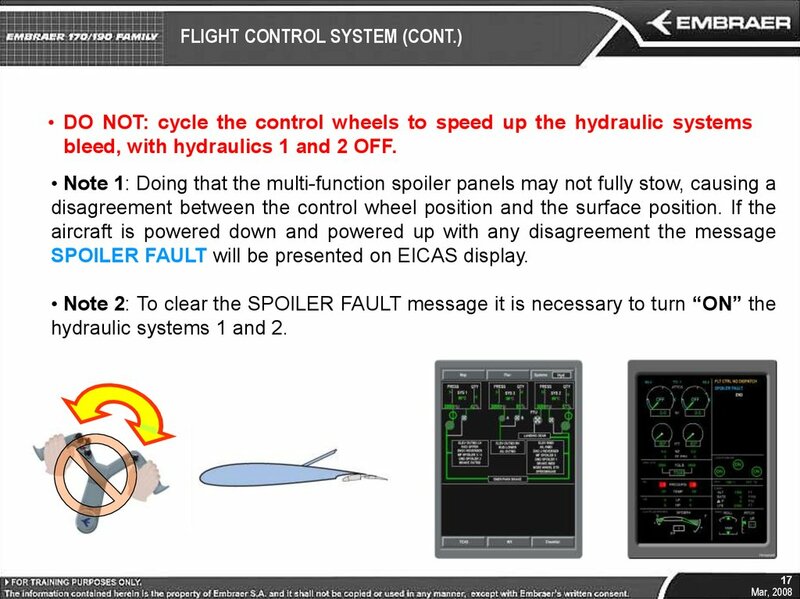 SPOILER FAULT will be presented on EICAS display. 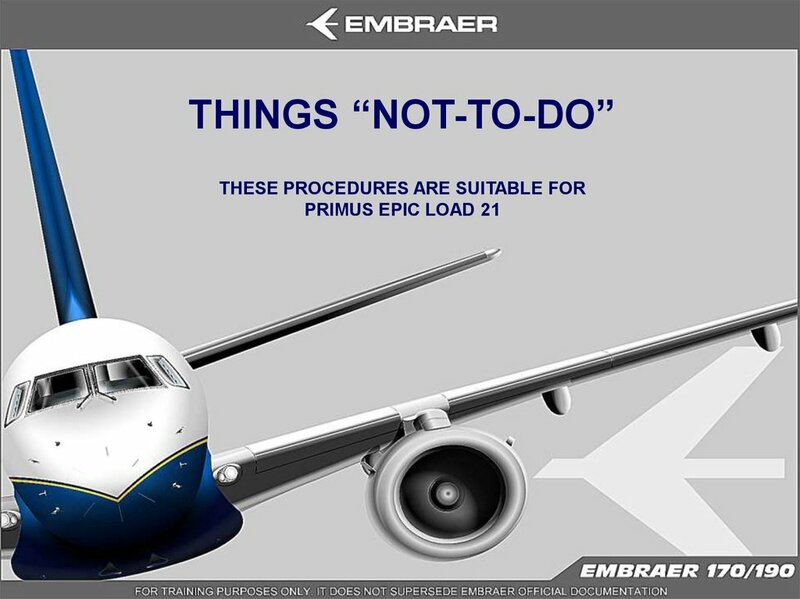 hydraulic systems 1 and 2. 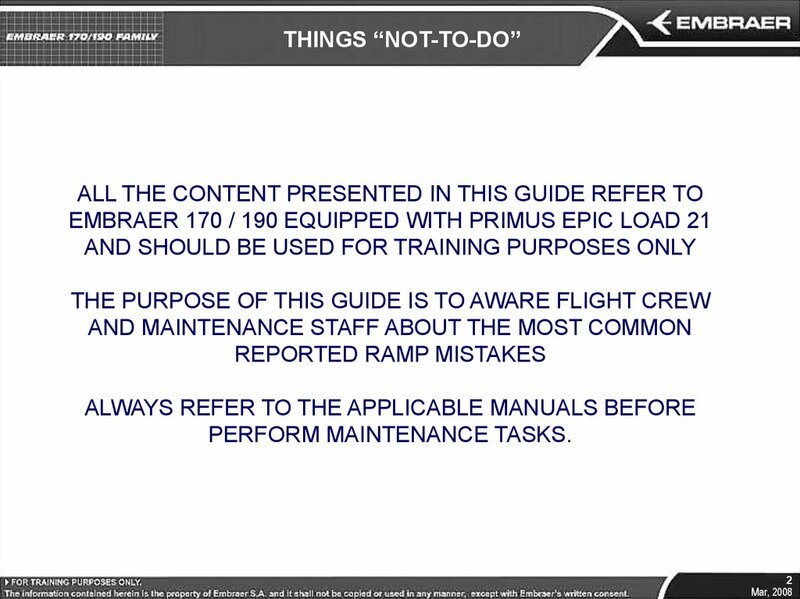 OFF to speed up the hydraulic systems depressurization. 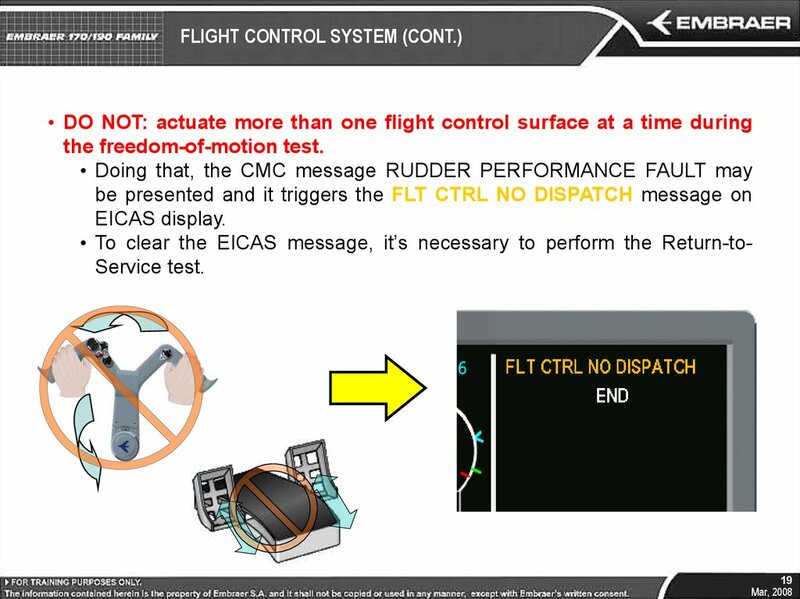 • To clear the EICAS message, it’s necessary to perform the Return-toService test. 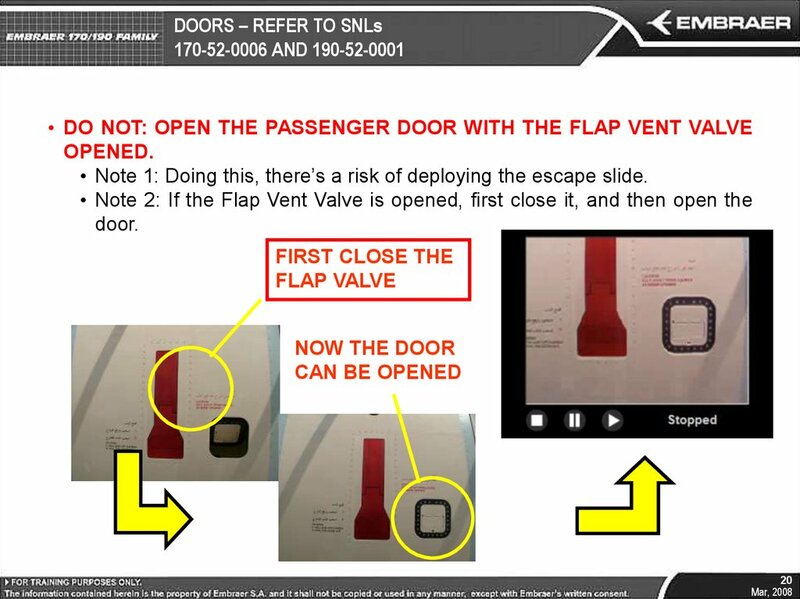 • Note 1: Doing this, there’s a risk of deploying the escape slide.